My comment in response to a load of curmudgeonly know-all arm chair critics having a go at this report on Ignazio Cabras' research into the value of rural pubs to their communities. All yypical 'nice work if you can get it' rubbish from people who think they know about pubs but who really have never given a second's consideration to what is happening to British culture all around them with the epidemic of pubs closing all around them unabated. Ironically there is a link right next to the piece to another article on a local Marston's pub that has been earmarked for conversion to a Tesco 'Another York pub to become a Tesco'. gravitydrip is the only person who's made a sensible observation above. To others, so cynical about Ignazio Cabras' contribution to the preservation of British pubs ask yourselves WHY there are so many pubs closing forever all over the UK - 31 a week at the moment - and WHO is doing anything about it, other than to sit around criticising on forums like this one. Then ask yourselves WHY does it take an ITALIAN to notice the damage of pubs' closing inflicts on communities when the British government does NOTHING to intervene in the Great British Pubco Scam that's behind the vast majority of pub closures when Britons like YOU sit around niggling about an academic who's actually DOING something about it? Pubs are closing because pub companies and brewers are asset stripping the nation's most treasured most valued social capital - our pubs - in plain sight, right under our noses. We Britons take pubs far too much for granted because they are such an integral part of our lives. Having run tens of thousands of pubs into the ground over the last quarter century through renting them out at usurious levels and supplying them with beer at up to DOUBLE open market prices, forcing thousands of individual publicans into financial failure, now Private Equity driven pub companies are cashing in on the residual property value of pubs for conversion to alternative use. 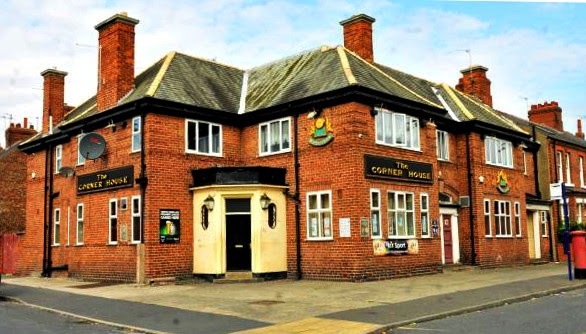 "Communities Fighting to Save Pubs Don't Have a Chance in the Face of The Great British Pubco Scam"
And the Northern Beer Blog. The salient piece is on Punch - who have sold three thousand pubs in the last five years and plan to sell at least another thousand. THEY aren't interested in pubs, people or places only in staying afloat. For the facts on tied vs FOT pricing see the thread below - particularly the link to the CAMRA document. One presumes you think you have a point. It's that tied tenants do not pay 2x FOT prices. Evidence in older threads ad nauseam.